In recent weeks three more Imams – Syrian-American Imam Abdullah Khadra in Raleigh, NC; Imam Raed Saleh Al-Rousan in Houston, TX; and Imam Aymen Elkasaby in Jersey City, NJ – preached sermons in U.S. mosques calling for murdering Jews. In addition, a fourth, Imam Ramadan Elsabagh of Garland, Texas, called for murdering Jews via Facebook. This is intolerable. Advocating genocide is an internationally recognized crime against humanity. These threats must be taken seriously and responded to with strong action. ZOA calls upon appropriate officials, including the U.S. Justice Department, government officials and Islamic organizations, to assure that these Imams who incited murder are publicly condemned, investigated, fired, and barred from future employment where they could preach murder. Further, ICE should investigate deporting those Imams who hail from overseas who are inciting violence in the U.S. 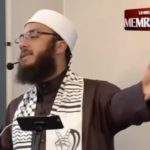 These four new Nazi-like calls to murder Jews may have occurred because strong action was not taken after California Imam Amar Shahin called for Allah to “annihilate” and “destroy” the Jews this past summer. ZOA called for strong remedial action at that time. (See “ZOA Horrified by US Imam’s Hitler-Like Demand to Murder Jews – Fire Him!,” July 28, 2017.) Failure to adequately respond to such threats will beget more threats. Incitement to murder Jews can do immense harm. 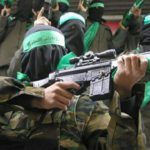 Palestinian Authority dictator Mahmoud Abbas’ calls to spill blood for Jerusalem sparked a wave of terror, commencing in September 2015, in which Palestinian Arab terrorists have murdered 61 and injured 881 innocent Jews, Americans and Palestinian Arab bystanders, in stabbing, car ramming and shooting attacks. We cannot risk Imams’ calls for murder turning into tragedies. Imam Abdullah Khadra, in Raleigh NC: On December 8, 2017, at a mosque on Raleigh, NC, Syrian-American Imam Abdullah Khadra preached these opening words of a well-known Islamic hadith: “The Prophet Muhammad gave us the glad tidings that at the end of the time, we will fight those Jews until the rocks and the trees will speak: ‘Oh Muslim, this is a Jew behind me’. . . .” The hadith ends with the phrase “come and kill him; but the tree Gharqad would not say, for it is the tree of the Jews.” Imam Khadra left the ending phrase unspoken, but it is believed that this call to murder Jews was understood by listeners. Curiously, this week, despite the fact that his above words were caught on videotape and displayed for all to see, Imam Khadra claimed that his own words were “ugly misquotes.” Imam Khadra published a youtube video online entitled “My Islam That I Am Proud Of – Response to Ugly Misquotes – Imam Abdullah Khadra,” (Jan. 10, 2018), containing selective excerpts from sermons that he has preached in North Carolina and Texas during the past few years. Some of these clips speak of brotherhood, but some of the clips that Imam Khadra, himself, chose to post are troubling. For instance, Imam Khadra speaks of dealing kindly with those “who did not fight you because of your religion, nor did they expel you out of your home” and called the decision to recognize Jerusalem “an injustice.” The logical corollary of these statements, especially when combined with Imam Khadra’s teachings that Jews are “aggressors, occupiers and murderers” who have stolen “Muslim land,” is that Muslims do not need to deal kindly with these Jews. Imam Khadra also misleadingly claims in his own video clips that the fact that there are still Jews living in Middle Eastern Muslim countries, and Coptic churches still standing in Egypt and Lebanon is “real proof that Islam never forced people to accept it” and that Islam was not spread by the sword. Imam Khadra conveniently leaves out that Arab nations expelled and drove out with deadly pogroms close to a million Jews who had been living in Arab lands since before the time of Mohammed, and that there are only a handful of Jews are left in Arab countries today. Imam Khadra also failed to mention Muslim terrorists’ and demonstrators’ multiple attacks on and bombings of Egyptian Coptic Churches in recent years, and the Islamist persecution of Christians that has decimated the Christian population of all Middle Eastern nations except Israel. Notably, some of these statements are similar to PA dictator Mahmoud Abbas’ statements which incited the ongoing deadly wave of terror against Jews and Americans in Israel. It was also encouraging that New Jersey Senator Cory Booker (D) wrote to the Islamic Center of Jersey City’s president expressing his “anguish concerning the abhorrent remarks of Imam Aymen Elkasaby concerning our Jewish brothers and sisters,” and urging the Islamic Center’s president to “take a firm and unequivocal stand against this hatred and bigotry so we may continue to work together.” (Id.) 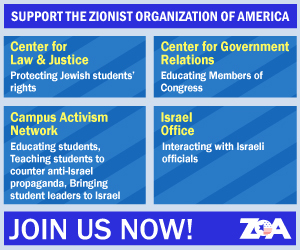 ZOA urges more officials to take such stands regarding these incidents.